All, Can anyone help jonhowe1971@googlemail.com please ? For a book he is writing about Elland Road, he needs to know how many games the Cougars played there - Was it just in 1986? If any of you know, if you could e-mail him at the address above please. Just dropping you a message to let you know that we have a flag football team in Leeds, (Leeds Samurai) and I noticed that on you site it mentions getting some of the cougars back together to play, so I just figured I would reach out and see if any of you are at all interested. As usual, FINALLY, another small update! I am married to Sally Moore who was married to number 55 DAN MOORE who died in a tragic car accident. Please help us honor his lifetoday!!! This would be greatly appreciated by Sally, Stephen, (son) and myself. We have alerted all the Pubs in the area that Stephen is now 21. You can see the issue I am up against. Sally is going to teach him some English Pub Games ( God help us all!!). 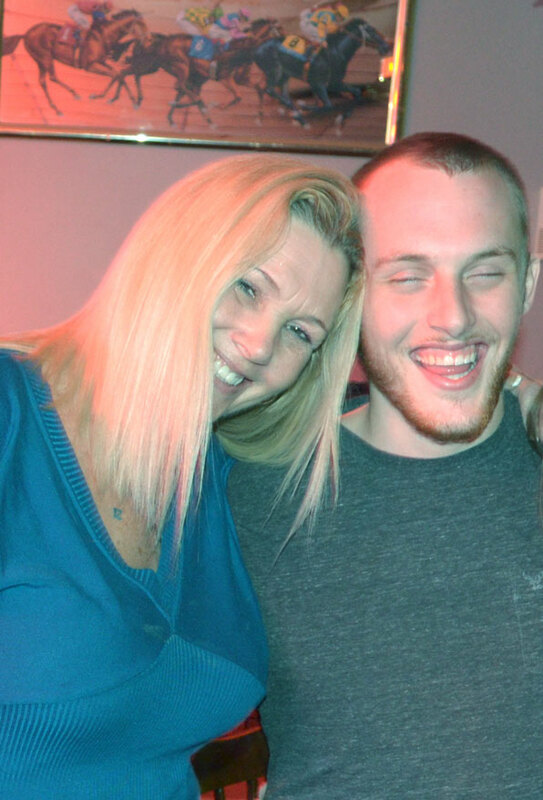 I am enclosing a picture of Sally andStephen taken at his 21st birthday party..........as you can see the apple doesn't fall from the tree. I often drop onto the Cougar website to take a look at what's going on - it really is an excellent site and I enjoy drifting back to the good times :-). 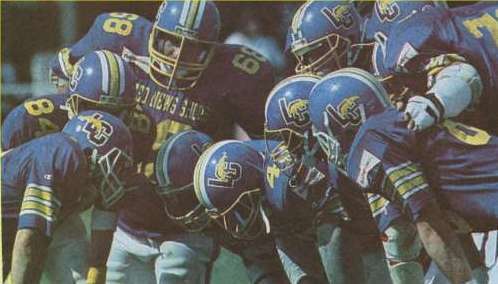 I hope you can remember me but just to remind you I joined the Cougar's and played safety and kicker at the beginning of the '86 season after having briefly played for Mansfield Express including a hefty defeat by the Cougars at Mansfield - that was when I was asked to join. I had the pleasure of playing with what I will always consider was the best Cougar team ever - coached by Chuck Brogden and full of talented guys. I was proud to be a defensive captain (secondary) and especially proud not to have conceded a passing touchdown throughout the whole of the 87 season when we went all the way to the Bowl - I don't recall one anyway. The only passing touchdowns I do recall we conceded (x2 if I recall) were in the semi-final against Colchester after I had had to leave the field with concussion after a crunching coming together with Colchester American running back (don't remember his name) - do you remember it 'cos I don't! My playing days ended at Rothwell during a training session - rupturing my anterior cruciate ligament. However, I was proud to have a testimonial night arranged for me by the Cool Cats and have attached a couple of photos of my Testimonial Night Tickets, trophy for 1987 Unsung Hero plus special award Tankard from the Cool Cats for your photo files! I have also attached a couple of extra photos of me kicking and joining in a tackle v Crewe. Do you remember the game at the Farsley dustbowl? - my 150 yards interception return (across the field twice) to set up another TD for Tiggy from 5 yards? lol. I couldn't leave the team though and was proud to join the coaching staff in 88-89 & 90 and come back briefly to kick in 90. I have also attached photos of the "book that I wrote" whilst with the Cougars titled "American Football - How to play the Game" commissioned by Guinness and published in 1988. I was asked to write about the game as an English player and used Chuck as source of info and proof reader - hence his name on the credits. Don't know if you ever saw it but it did sell out but was not republished. Anyway, not many Cougars can claim to be an author too! A new e-mail address for John LaFleur amended. Maybe Orlando can reconnect with me. Last saw him in 2002. He hadn't changed a bit. My second grade daughter now has former passing mate Greg Thelen's wife as her art teacher. Still connecting after all these years!!! It was quite an honor to be voted to Brit Ball's greatest ever import list. Very humbling. I have the Cougars to thank for that honor. I am nothing without the team. Gosh, 10 months since the last update - Sorry chaps, am really busy at the moment but once again I do promise to get some new stuff up on here as soon as I can - I have some pics from Barry Cawley to sort out when I get a moment. Season greetings to everyone - It's been a while since the last update and I don't have a lot to tell you to be honest. Presumably there will be the Superbowl stuff your face fest again around Superbowl time ? If you want any ideas, I can recommend the eat all you can Chinese in Xscape that has recently started up. Mind you, any eat all you can Buffet is good!. Also, I have a book recommendation for those last minute Christmas presents. It's by John Grisham and is call Playing for Pizza - a brief overview is below but it was a very good read (even if you don't read that often) as it is all about American football in Italy. Rick Dockery was the third-string quarterback for the Cleveland Browns. In the deciding game at the climax of the season, to the surprise and dismay of virtually everyone, Rick actually got into the game. With a 17-point lead and just minutes to go, Rick provided what was arguably the worst single performance in the history of the NFL. Overnight, he became a national laughing stock and, of course, was immediately dropped by the Browns and shunned by all other teams. But all Rick knows is football, and he insists that his agent, Arnie, finds a team that needs him. Against enormous odds, Arnie finally locates just such a team and informs Rick that, miraculously, he can in fact now be a starting quarterback. Great says Rick - for which team? The mighty Panthers of Parma, Italy. 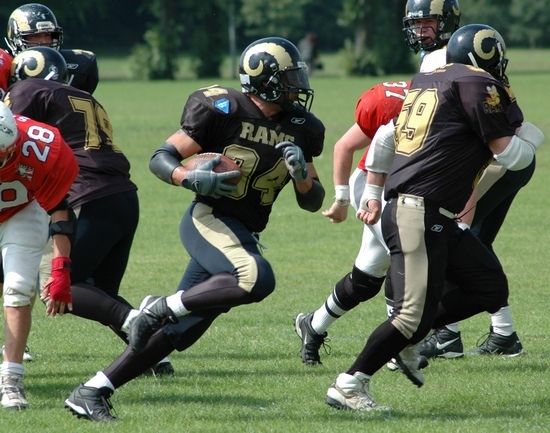 Yes, Italians do play American football, to one degree or another, and the Parma Panthers desperately want a player from the home of American football at their helm. So Rick reluctantly agrees to play for the Panthers - at least until a better offer comes along - and heads off to Italy. He knows nothing about Parma (not even where it is), has never been to Europe, and doesn't speak or understand a word of Italian. To say that Italy - the land of opera, fine wines, extremely small cars, romance and football americano - holds a few surprises for Rick Dockery would be something of an understatement. Have got a new e-mail address for Gregg Thelen. If you have sent me anything since 22nd September, I probably haven't got it, so it would be good if you could re-send anything to the new address. If any of the Cougars want to come along to the two games suggested, you would be more than welcome. We are pushing for the playoffs and some noisy support for the lads (including Muzzy & Bilco) would be more than welcome. park would be good idea, there are plenty of grassy areas in front of the main stand to set up and cook for the linemen (me included). We would love to see you all there, please wear your Cougars shirts as a lot of the regulars at the games are old Cougars fans. Can anyone help Derek ? 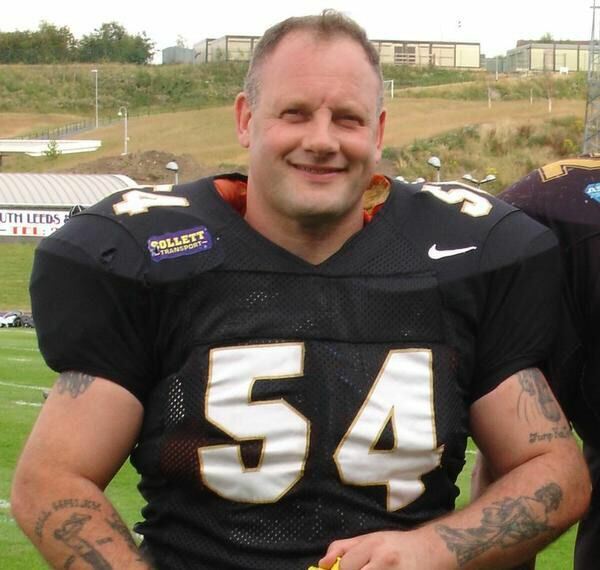 Hi mate, excellent cougars site..i wonder if you can help me i am trying to get in touch with ex-players phil trickett or laverne washington(early 90"s) they also played for barnsley and i am trying to see if i can get any game footage from then.. 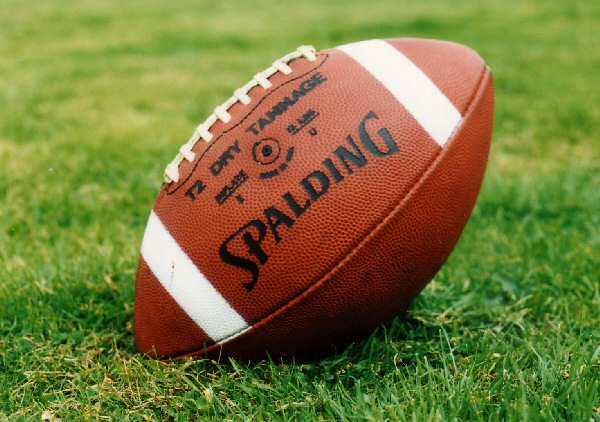 It was suggested at the all-you-can-eat-SuperBowl-pig-out that we should arrange a get- together at one of the Yorkshire Rams games during the summer .. there must be someone out there with the organizational skills to get the ball rolling ..? If we are going to arrange a BBQ at one of the Rams games then 22 June or 03 August are the obvious candidates . "Please can you let me know when the next reunion is, as a few of us over here in Bradford are in touch with each other and would love to me up with you all again. Maybe we should try and have a great gathering later this year to mark 24 years since it all started. wow." "Hi there, i was wondering if you knew if there is a cougar BBQ planned for this year. Im arranging our yearly family squad BBQ and thought it would be nice if we picked the same day. were really good at picking the rainy days. I have finally got a match video on line 1989 v Leicester Panthers - I will get some more up as soon as I get the time. The video is a windows media file so you should all be able to view it. Once I have uploaded a few more games, I will then be able to increase the file quality and put them on DVD to send to anyone who want them. 5 photos from the annual eatathon on Superbowl Sunday. Back to China City again this year. Hi Mark, I am Steve Newton AKA Blue # 50. The Cougar web site is a great piece of work and a fitting tribute to all who were involved with the Leeds Cougar organisation. For the last 14 years I have lived in Tadcaster where I am still a fire-fighter. Married to Kerry for nine years and at the moment have two children, Joe Daniel 5 and Molly Louise 4. I retired fully around three years ago having spent my last years with the Rams. My last game was the was the amazing final at Sheffield against Norwich. Personally I would like to thank everyone who was linked with the Cougars, who made it the most enjoyable sport and gave me great memories to look back on The players and coaches alike were characters and will be long remembered and in most cases feared. To all I played against, I thank you every morning when I try and roll out of bed and listen to my knees crack as walk down the stairs. I wish everyone all the best and if your unlucky I may run into one of you at a Rams game. A 1992 home game against the . Have just received a lot a programmes from Rob White so am busy scanning them in to get them up and running. I have also created a memorabilia page, which can be accessed from the menu on the left - It contains items such as photos of cougars merchandise, ticket stubs etc. If you have anything to add to this page, please photograph it and e-mail them to me. There is also a Cougar Programme Page which has a couple of programmes in it so far with a couple more to add later. There is also an additional Press Cutting on this link at the very end of the page. I have got the POSTCARDS working again, if you want to send one to anybody. Have backed up the guestbook, so old entries are now actually under the old entries link and only the last year's worth can be viewed in the guestbook itself. Have also archived some of the news on this page into the PREVIOUS NEWS section on the site, so this page should load slightly faster. Have been doing a few more cosmetics to the site and have noticed that quie a few of the e-mail addresses on the e-mails page don't appear to work any more. If you know of any updated ones, please let me know so I can change them and make it easier for you all to stay in touch. I think I have fixed most of them now but still have a couple of photo help forms to mend - This will be done shortly. 2 more programmes now added both Home games 1988 - against the Stormbringers and the Spartans. I was a Leeds Blue Cats Cheerleader for the Fantastic Leeds Cougars from 1989 to 1992. I have just discovered the Cougars website and my God it brought back some memories all of which are great. I really miss the cougars and made some really good friends through my 2 years with them especially Melanie Besford (Sutcliffe) who i am still in touch with. Oh well hope there is to soon be a reunion would love to see everyone again bet we have all changed though and of course got older. Have had an-e-mail from Donna Booth formally Donna Briggs & Head Cheerleader of the BlueCats.
" I was in shock after looking at the site with Paul Pryce recently (he was visiting me for my birthday), and wondered if any of the other Cheerleaders had contacted you. When I think of my time with the Leeds Cougars, I only smile over great memories, and great friends lost over the years. How did we ever do all that travelling, games & Socializing and still maintain our full time jobs. !! Paul & me wonder sometimes, but we laugh. I will dig out some photo's sometime, please put me on your list. I would love to hear from some friends. Got a e-mail from Hector Hurley who is looking to get in contact with Tim Casey - If anyone can help, please e-mail Hector by clicking his name. The Pics have arrived from the annual food fest on Superbowl Sunday - Looks like everyone had a good time. It is Sunday the 4th of February, probably around 7.30 to 8pm, and we will be going to the Shabana Indian Restaurant which is a couple of minutes drive from Junction 39 of the M1, close to Wakefield. So far, we think that Ken Phelps, Bootface, Mick Hardacre, Murdoc, Tim Casey, Malcolm Parker, Bilko, Muzzy, Glen Stevens, Neil Stott, Brian Bullers and Steve Fox are confirmed, but everyone is welcome. I can email a map and directions to anyone wanting to go. The Yorkshire Rams and the Hard Rock Cafe, Leeds, bring you the first leg of the Rams Rookie Combine and Superbowl Party. 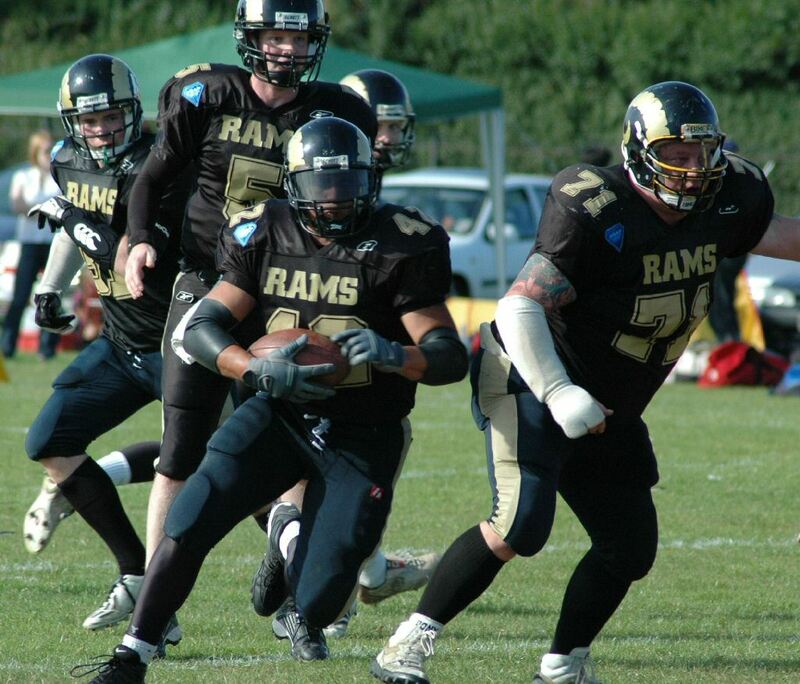 Sunday 4th February 10am start - All are welcome, especially those who have never played the game of American Football, so come and try out for the team at the All New home of the Yorkshire Rams - The South Leeds Stadium. The day starts at 10am in the main reception with registration and then goes into individual assessments, introduction to the game and skills assessments. Following the tryouts, on Sunday evening we invite you to the Superbowl party at the Hard Rock Cafe in Leeds, fun and football through the night with the two best NFL teams battling it out for the Vince Lombardi trophy. Tickets are available from the Rams - just ask any of the staff at Sunday training sessions or at the combine, or drop us a line at info@yorkshirerams.com. If you can't make it to the 4th February tryouts, we are repeating the whole thing on Saturday 10th February, again we are meeting at the main reception of the South Leeds Stadium at 10am. I've received the following from Neill Lester. Peter Haddon, Neil Lester, Andy Michaelson and Andy Rose.4 names that appear in the club history section as the 4 fanatics that started it all off. Hi I'm Neill Lester I still am in contact with David Haddon,Peters Haddons brother and Andy Rose. I have lost touch with Andy Michaelson and Peter Haddon. I have strong memories of those first months the four of us were convinced that we could easily start an american football supporters group. Very quickly the change from supporting to playing took us in a new direction. We arranged for training and quickly realised that we needed equipment. Lack of worries of physical contact from playing Rugby led to some early injuries. We arranged for a sale of equipment at the Jester Pub and the fledgling teams players turned up to learn how to put on shoulder pads and how to be measured for helmets. We trained at King Alfred's fields and also at the Judean Club on Street Lane where they had an all weather surface pitch. Actually we could have been called Leeds Cavemen,Leeds Lions,Leeds Loiners, but it was decided at the inaugral meeting that the name Cougars would be used. I also have memories of a trip to Chicksands American Airforce base where the British American Football league was set up. I remember trying out for wide receiver and free safety. I remember David Haddon and Andy Michaelson timing players over a 40 yds sprint in full gear. Due to other commitments after a year I moved on but still followed the Cougars and I was still in contact with the other lads. I am proud to have been in at the start and one of the four. I got the following e-mail from Rex Harrison - I also heard this on SKY last weekend. "Can you help. The Leicester Panthers are reforming in 2007 to play a charity game at Welford Rd (home of the Leicester Tigers). We are trying to contact Tiggy BELL and Rick HORNER any ideas. We have 60 players registered to play and hope to sell 8000 tickets. 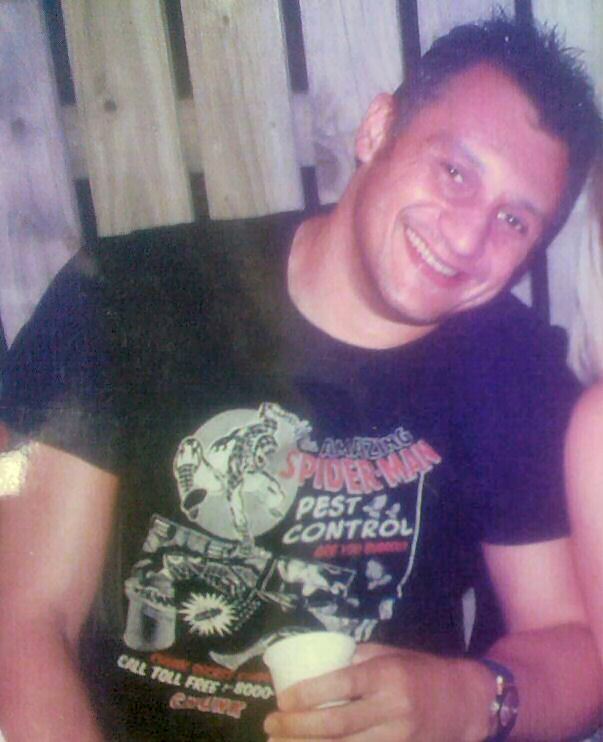 Please see www.leicesterpanthers.co.uk for details of www.leics.police.uk for more. We are raising money for Matt Hampson who broke his neck last year. We are in training already. If you know of any Cougar player that played at least once for the Panthers then please get them to contact us. Hope you can make the game It would be great to see old faces again. Just wanted to say hi to the gang... I'm 14 going on 15 in two months i just wanted to see how every one is. I'm in high school I play football and got my dads number both years junior high and this year. My moms doing good, Sally Moore. Well sometime comment me back so we can talk please thanks bye. Am still here but haven't got any further with the DVD/clips yet - Will make a concerted effort after Christmas to sort it out. I've just got an e-mail from a Manchester Allstars fan (full e-mail below) - Anyone interested in sorting out a flag game etc... ? "We both have something in common, we both must be nuts as myself and Paul Ashton run a similar site for the Manchester Allstars. our site please go ahead www.manchester-allstars.co.uk. Or if you are interested we have accumulated a lot of Cougars stuff from mags and papers. long way. I look forward to your comments. Hi there, A lot of you probably don't know who I am. My name is Lisa-Marie,( you may remember my dad more, Kevin Trory) I began watching Cougar ball in the early days. Think i can just remember the guys playing at Elland road then towards the end i decided to get off my bum and jump into a lovely pair of gold trainers and spandex and join (no not the offence line) the cheerleading team. I am proud to say those days with the Cougars lead me on to teach Cheerleading to children and young people all over the country. 12 years on and now in the present, Ive just come back from the Future Cheer International Cheerleading Championships with TWO 1st place titles with my senior and peewee teams. Cheer has come a long way since the happy days of the 'Blue cats'. My squad still cant get over the size of the poms we used, and the least said about the uniform the better. Due to our success over the last year, my squad NRG have been invited over to California in April 07 to train with some of the best cheer coaches in the US. We will be spending 5 days in San Francisco then 5 days in Orlando watching the largest cheerleading championships in the world. We basically need all the help we can get to raise the 26k we need to fly our guys out for a once in a life time experience. If any of you have any ideas on how we could fundraise, no matter how small please, please get in touch. I have finally got round to doing a bit of testing with video clips and have just uploaded an 18 second Cougar Touchdown for you to have a look at. The file is 3.5meg so obviously any longer clips are going to be large to download. So, my first idea is that I will upload various "good" clips to the site when I have done them BUT, will also produce a DVD which will be available to anyone who wants a copy. So, here is the file to download - It's a Windows Media File so hopefully you will all be able to view it. It will either run automatically or will ask you to save it to disk - If you have any problems or any suggestions/better ways to do this, please let me know.